Increase the reliability assurances of your exacqVision Z-Series customers by supplementing the high reliability design with single trip, onsite repairs of the most common hardware service requests. exacqVision Z-Series field repair kits include hard drives, power supplies, fans and instructions to address over 90% of hardware service calls anytime without having to call Exacq Tech Support. Once complete, you can exchange the serviced part for a new one with the RMA form included in the kit. View the Exacq product catalog for more information. exacqVision is now integrated with Sensormatic anti-theft electronic article surveillance (EAS) system. The combination of exacqVision and the Sensormatic EAS system gives retail customers a unified solution to improve their loss prevention efforts and capture loss event data and video within one interface. The Sensormatic pedestals capture valuable loss prevention data to create a surveillance zone at the end of checkout lane or at the store exit. When an alarm event occurs, the system notifies store employees when someone exits the store or if merchandise has the electronic article surveillance (EAS) tag attached. With the exacqVision integration, retail customers have the benefit of an added layer of video surveillance and real-time loss event insights. This integration enables retail store managers to quickly identify suspects for potential theft instances and improve real-time response to shrinkage control. 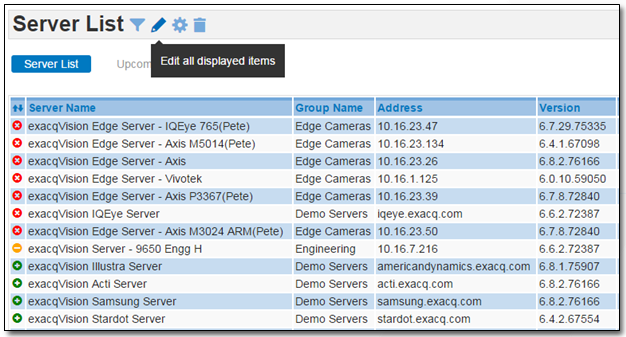 This integration requires exacqVision version 6.6 or later, and Sensormatic Local Device Manager Configurator version 8.3. Learn more about this exacqVision integration. 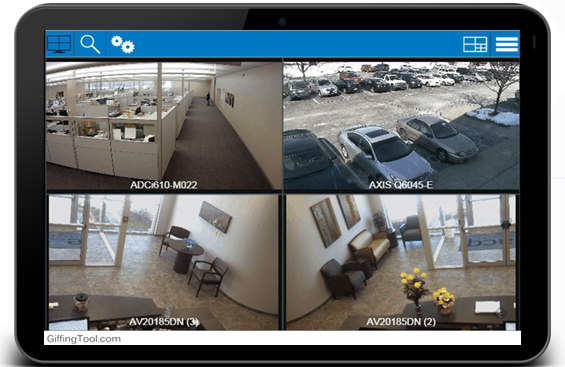 exacqVision supports more than 2,200 IP camera models from nearly 100 manufacturers. Additionally, you can sort by manufacturer, model, number of streams supported and more. 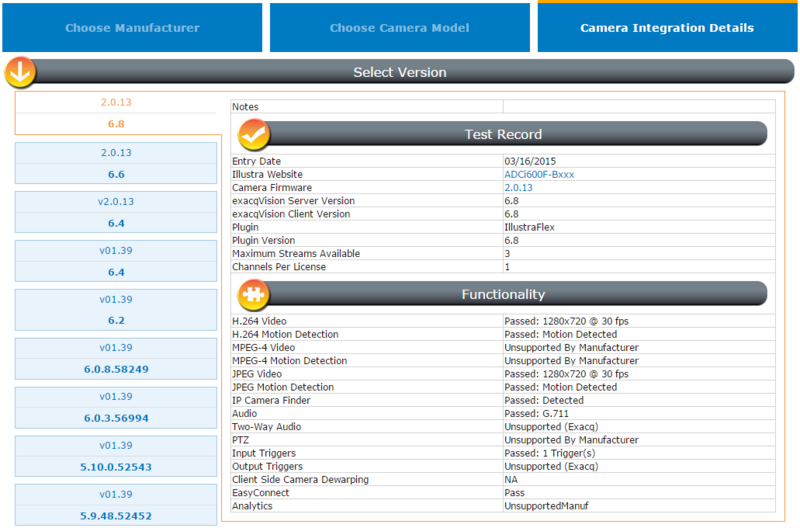 Be sure to view the test results to see all the integration details and functionality. exacqVision A-Series network video recorders (NVRs) now offer you higher performance and increased reliability at a lower cost. Through thousands of installations worldwide, the exacqVision A-Series recorders have provided an ideal balance of performance, reliability and capacity for mid-sized analog and IP camera recording applications. 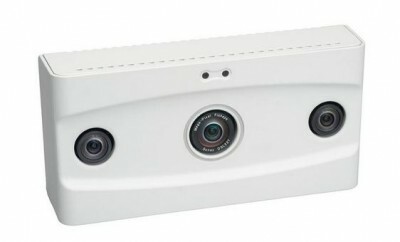 Visit the exacqVision A-Series product page to learn more. Visit Exacq Technologies in the Tyco Security Products booth #20011 at the ISC West Conference, April 15 – 17, 2015 at the Sands Expo & Convention Center, Las Vegas. 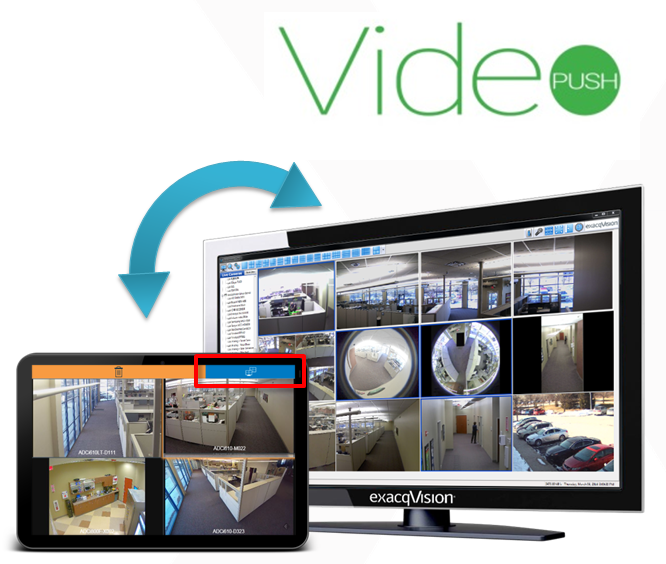 See our IP video surveillance solutions and a live demo of exacqVision 6.8, with faster IP camera discovery using EasyConnect and VideoPush for Exacq Mobile devices. Also see the new A-Series hybrid servers and IP camera servers. Open vs. Proprietary Platforms: On Which Should You Build Your Future? While you are there, join Scott Dennison, Director of Marketing for Exacq, and other industry experts as they debate the virtues of open versus proprietary security platforms at this ISC Panel Discussion. 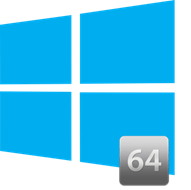 How you decide which platform is the best system to use? 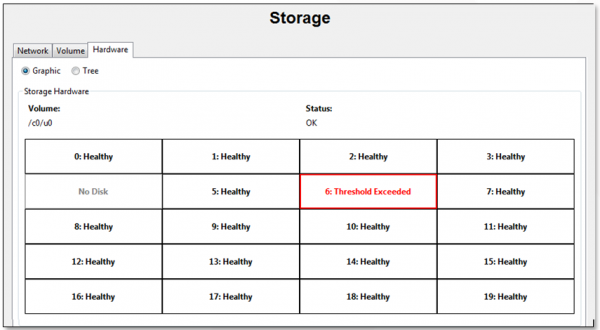 Are you better off with open vs. proprietary solutions? The pros and cons of open vs. proprietary platforms. Recommended industry resources to catalog, analyze and classify your choices for present and future needs. Methods to test if your manufacturer is properly positioned for the future. AMAG; Exacq/Tyco Security Products, HID, JDG Security Management & Consulting Inc.
the Tyco Security Products booth #20011 and see our latest video security product offerings. exacqVision is now integrated with the Brickstream® LIVE sensor from NOMi, a dominant in-store marketing and analytics provider, for a unified security and retail analytics solution in a single platform. The new Brickstream LIVE sensor uses stereo vision analytics to provide highly accurate and anonymous information about how people move into, around and out of physical places such as stores, venues, hospitals and more. 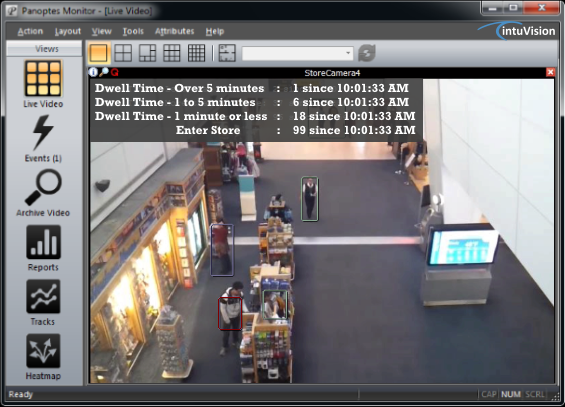 This solution combines exacqVision video with data from the Brickstream LIVE sensor for advanced loss prevention and retail analytics without the need or expense of deploying multiple systems. 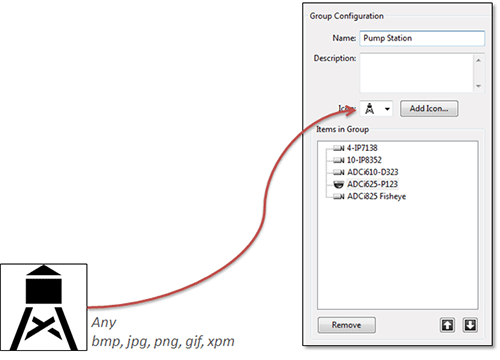 Users can create event linking actions, line masks and rules through exacqVision. 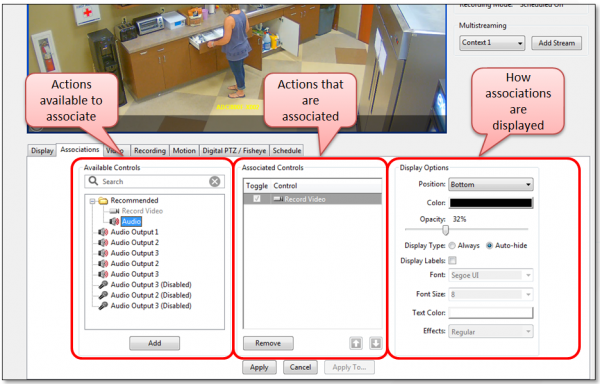 The associated video related to behavior actions within one interface offers visual verification. Together, the exacqVision and NOMi integration reduces investigation time, aids to better identify instances of potential theft, improves customer service, optimizes employee and visitor experiences and ultimately increases revenue. This integration requires exacqVision version 6.6 or later, an exacqVision Professional or Enterprise license, Brickstream 1.0.0.224 firmware or later. 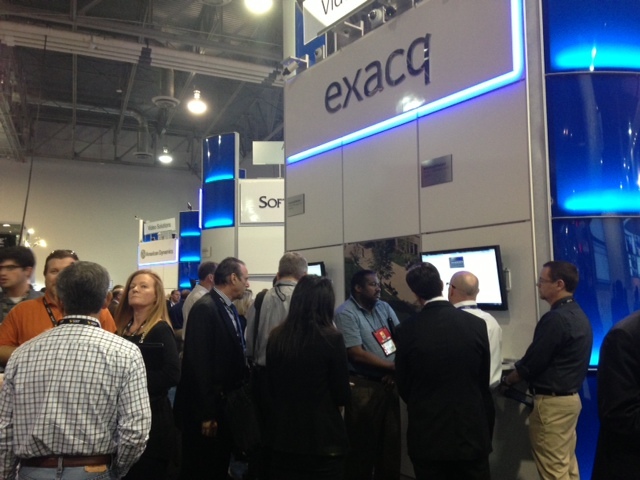 For more information on this exacqVision integration and other new updates and offerings, go to www.exacq.com. What is an exacqVision Certified Server Application (CSA)? Certified server application (CSA) testing qualifies that third-party software will run properly on an exacqVision server simultaneously with the exacqVision server software. 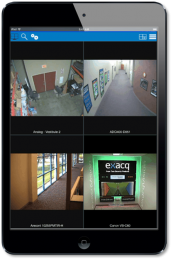 Several third-party technology partners such as access control systems, video and retail analytics and point-of-sale (POS) systems have been tested and approved by Exacq for the exacqVision CSA. 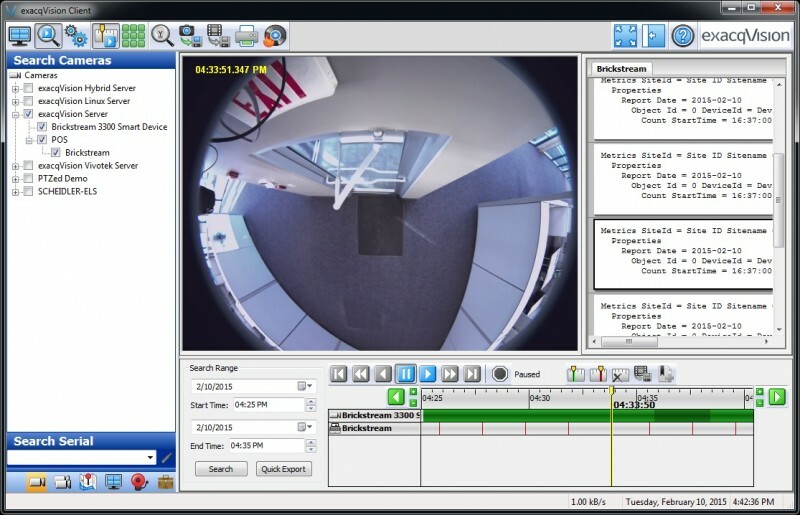 These applications can be installed and loaded on select exacqVision recorders including the exacqVision A-Series with the CPU, RAM and hard drive upgrade and any exacqVision Z-Series. 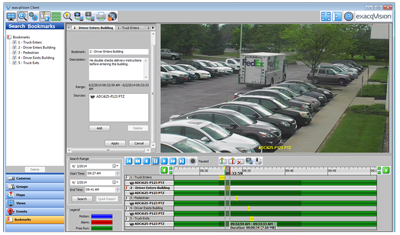 CSA partners combined with exacqVision recorders can save end users the expense of additional systems. For example, an internationally known, high-end retailer wanted a solution that would integrate video surveillance and video analytics into one easy-to-manage system. They tested several competing systems in their highest trafficked store in Los Angeles on Rodeo Drive. Their goals for the test included an accurate people counting tool, easy-to-use video management software and one server that could handle all the systems simultaneously without requiring additional expenses and maintenance. After 90 days of testing, they found exacqVision and intuVision to be the ideal solution. As a result of the test, the retailer installed 15 exacqVision Z-Series network video recorders (NVRs) integrated with intuVision video analytics throughout their stores worldwide. Since the intuVision solution is approved by Exacq as a certified server application (CSA), it can be directly installed on the Z-Series recorder without the need for additional computers servers to run the analytic software. With the high performance, reliability and capacity, the exacqVision Z-Series recorders delivered the power and speed needed to successfully conduct the video surveillance and run the intuVision video analytics software. Read more about the results of this intuVision CSA implementation. To see which third-party applications are CSA tested and approved, look for the tested icon on our Partners pages next to these applications. 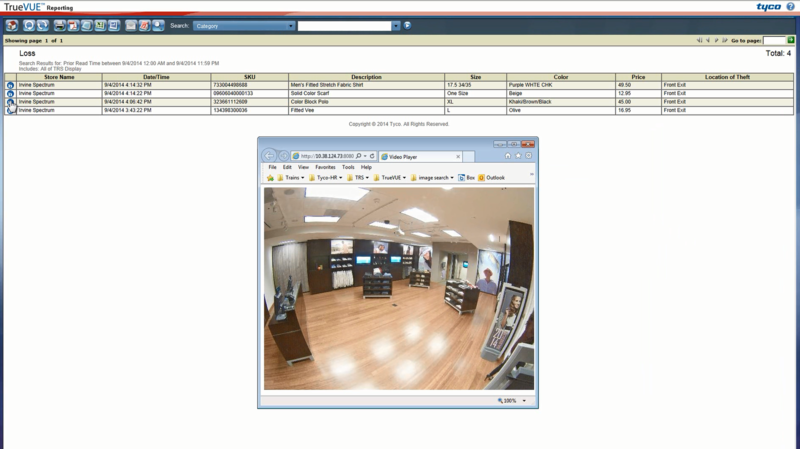 exacqVision is now integrated with Tyco Retail Solutions’ TrueVUE inventory loss reporting system. The exacqVision integration provides users with the ability to utilize video associated to shrinkage events for better forensic analysis. 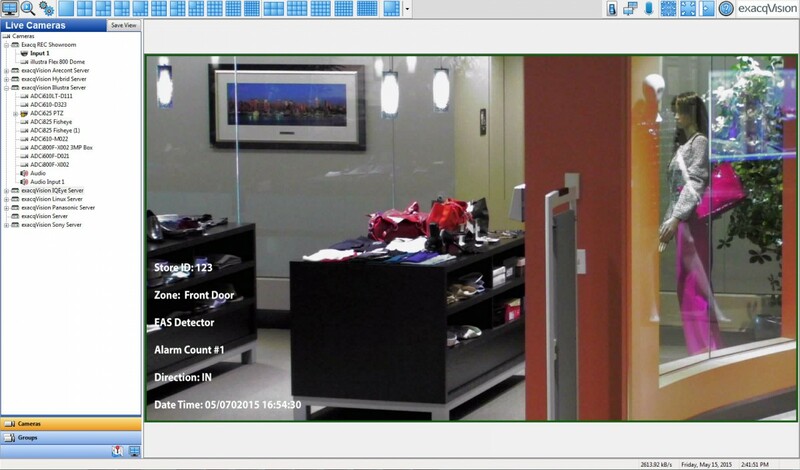 With the TrueVUE exacqVision integration, users have video evidence to support their object tracking and people counting reports to better understand store trends in loss prevention and enhance virtually every aspect of store operations. The key metrics of TrueVUE and the combined video from exacqVision retail customers are now empowered to make better decisions to ultimately lower costs. This integration requires exacqVision version 6.2 or later and exacqVision web service 3.9 or later, with a current exacqVision license using the TrueVUE 6.0 or later version. Learn more about Exacq’s powerful integration with TrueVUE on our Retail Analytics page.